Our Modest Gaming Build is built around the Intel i5-7500. If you do not plan to overclock your computer this is arguably the best mid-range processor on the market. We paired the i5 with a parametric list of B250 motherboards that supports up to 64GB of DDR4 memory, 6x SATA6 devices, and front panel USB3.0. For this build and most machines outside of the top end enthusiast realm we opted to go with 8GB of DDR4 memory. The parametric filter finds the best price on 8GB kits of memory that are within Intel’s recommended specifications. Our storage choice is also based on parametric selection criteria – 2TB and 7200rpm are our standard recommendations for builds that incorporate a mechanical drive. With our increased budget we can also include a solid state drive selected by parametric filters. You should be able to purchase at least a 240GB drive on this budget. On a 800 dollar budget, the Radeon RX480 8GB is a fantastic choice. This GPU has excellent performance for the price making this model one of the best graphics card choices on the market. At 1080p the Radeon RX480 8GB provides a consistent 60fps even on demanding games like Battlefield One using Ultra/High settings. All of the components are housed in the BitFenix Prodigy M Midnight Black MicroATX Mini Tower. This case is an affordable option that has front panel USB3.0, room for full size graphics cards, and cutouts in the motherboard tray for easy cable routing. For our power supply, we're using a parametric selection of well-reviewed fully and semi-modular units, all of which will provide more than enough power for this system. Is the jury still out on the GTX1060 vs the RX480? I guess I would lean towards a 480 since I just bought a freesync monitor. Would I need to buy a fan as well to act as a cooling system for the PC? Do I need to buy a separate piece of equipment to enable wifi or wireless connectivity? Will I need to purchase windows 10? Is there anything not listed on the parts list that I should be aware of? Thank you very much in advance, I hope to see a reply soon. You will not need any extra fans, as all the fans needed are included in this build. Unless you live in an exceptionally hot area, I wouldn't worry about fans. Yes, you will need to buy either a usb wifi adapter, pcie wifi card, or opt for a motherboard with built in wifi functionality. The computer will not have wifi access on its own. Unlike some prebuilts, custom builds such as these will not have an OS included. So if you plan on using Windows, yes you will have to purchase a license. If you need further help installing windows, I'd be happy to provide you with some links to tutorials. This is exactly the information I was looking for. I can install the OS using a USB instead of a disc? Yes, you can. You can use Windows 10 built in usb tool, or you can also use an ISO and create a bootable disc using Rufus. Many PCIe WiFi cards have Bluetooth built in. Some do not. You will need to look at the specs to determine whether the card you're looking at has Bluetooth. Does anyone know how this pc runs with rainbow six siege? Is everything listed here all that's needed to build this PC ? It doesn't need fans or anything? Nah, not with those parts. If it had something like, say, a 1080, then maybe fans would be needed. Do you mean without an optical DVD/CD drive? Most builds don't have internal optical drives these days. The most common ways to install windows on a new system would be to via a USB flash drive or an external optical drive connected via USB. Google for guides to this as it may (but probably won't, honestly) require you to adjust the boot order/boot preference in the motherboard bios. this PC can run rainbow six siege at 1080p 100+ fps ultra settings . ever 1440p at ultra 60+ fps. Do you recommend this one? Whats the difference between raedon 480 and the one this 1060? The 1060 has very slightly better performance than the 480 in most games. I'm going with the 1060 though because I've heard you lose less fps when recording with nvidia's software. Actually the AMD software has shown less of a performance hit when recording with the Crimson drivers instead of Nvidia's Shadowplay. Both cards perform the same but AMD tends to perform better in the long run and Freesync monitors are far cheaper than Gsync. If you want your system to play games really well and look really nice the build that I linked is a better choice. If you don't care about how it looks and you want the BEST price to performance gaming PC then my build is not for you. When talking GTX 1060 vs RX 480, you'd be wrong. The GTX 1060 and RX 480 with current drivers perform pretty much the same in gaming overall. The 480 however, comes with the ability to crossfire, and Freesync monitors come cheaper. Additionally, the RX 480's 4GB reduces the chances that you'll have too little VRAM than the 1060 3GB, where otherwise the 1060 might have generally bad frametimes and stutter. The Cryorig C7 is poor in thermal performance and isn't as quiet compared to other coolers like the Cryorig H7, which would be a better buy as the case has enough space for it. The Kingston UV400 isn't a very good SSD as it's meant to be very low cost. The SK Hynix SL308 is worth the slightly higher price. At $75, the NEX650G isn't good value. I suggest you look at the EVGA GQ 650W instead, which is a better PSU yet pretty much the same price. Tanks for helping! I love that people actually help in this site. Never seen that on those Playstasion sites I visited for help. I will think about changing the parts, but I am not sure. Again thanks for you help! The Cryorig H7 was too big for my taste when I first saw it... That's why I went with the C7 instead. Do I HAVE to get a better cooler? I thaught "Hey, the other coolers that come with the CPUs like the 6500, can do the job, but I want a better CPU and they don't come with one...Maybe if I get a similar CPU cooler that fits my themed build, it's going to be fine." SOOO, I sellected the Cryorig C7. I saw that it had good revews and looked really prety, so that's why I selected it. The Noctua NH-L12 CPU cooler which is low profile and gets close to if not better performance than the Cryorig H7 and competely destroys the Cryorig C7. 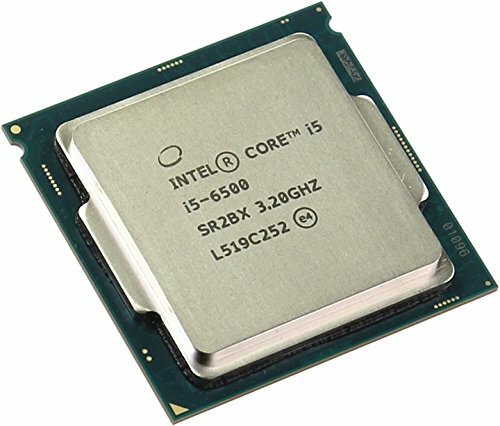 The reason why the i5 6600k doesn't come with the Intel Stock cooler is because it isn't powerful enough to overclock the i5 6600k. Slim CPU coolers like the C7 do not overclock very well. Now let's talk SSD for a minute: There is a giveaway going on in Greece (My home country) about a 4500 Euro PC, monitor, mouse, keyboard and a bunch of other stuff, even LED tape! And the PC had the same SSD! I saw it and was like.. Maybe I can use that. And I chose the SSD. So you chose that SSD because another build you saw had the same SSD. That build must not of had much thought put into it, since they chose that low performing SSD. I definitely like the theme on it. I think I may just go for it. Hypothetically what would you switch to make it more cost efficient? 1)Now, hypothetically, you can change the CPU from a 6600K to a 6500. 2)You could also change ram if you don't need 8GB of it. 3)You can,posibly, change the cooler but I couldn't find something better for lower price without breaking the theme. Now let's see why I didn't make something obvious like the CPU change: The Intel core 6500 comes with a CPU coller, that doesn't match the theme of the PC, witch is something that bothers me, A LOT... I could make some other changes that don't efect the build but I just couldn't find anything. Thanks, only thing I did not like about this build was the gold mobo accents. Hi i'm just wondering would 280mm fans/312mm radiator fit on the top of the dukase? Can someone tell me how well this pc build would do on FPS games like counter strike? Would be awesome to know. The power supply did not come with a seperate EATX12V power supply connector to run the motherboard. Without this the system won't even turn on. Uh, why? Also, it is much more better than the cheapest 500W PSU on the market. Plus, with a decent processor like the i5 6500 there is not much need to overclock. You will get the bang for your buck. The SeaSonic S12II 520W has a better quality fan (often the first thing to die in PSUs) that'll last longer especially since sleeve bearing fans such as in the EVGA 450B die faster when operating horizontally and it has better quality capacitors all around - another common failure point in non high-end PSUs. Only real disadvantage of it vs the 450B aside from it being more expensive is the quite likely lack of OTP. Not an exact video, the components are different, but it should do. Also, being a PC noob doesn't matter, once you get the tower, everything (the instructions) will be extremely easy. "First 5 Things to Do with a New PC Build" - https://www.youtube.com/watch?v=LbpqkiaO7q4 Building a PC - https://www.youtube.com/watch?v=0bUghCx9iso (When I watch YT videos, I just change the speed in the settings to 1.25 or 1.5 lol.) Good luck on your build! I really like this build, but I would have put a Windforce OC by Gigabyte. Single fan GPUs look ugly in my opinion. I noticed there isn't a CPU fan on the list. Is one not needed? The Intel Core i5-6500 comes with a stock cooler included. Is it possible to add an optical drive to the Gigabyte Motherboard along with the hard drive and the SSD? On newegg someone commented that this motherboard will only let you use two memory slots at a time. Is this true? What would be the point of having four slots if you could only use two at a time? That sounds like a defect or user error. It's alright. But you can get a cheaper DDR4 8GB module and a much better quality and thus longer-lasting PSU for about $10 more. As that case no longer has a price, there's the CM N200 at that case's old usual price. It might be worth looking into a 4GB RX 480, too, since you can save a little bit of money on that without really losing game performance except in rare cases of too little VRAM or if most games you play run better with Nvidia GPUs. What do you reckon I could use as an alternative case? Both the Deepcool cases seems to be unavailable in the UK. Use the chart on "Build your own PC". Click on it, go into the case section, and use the tables. 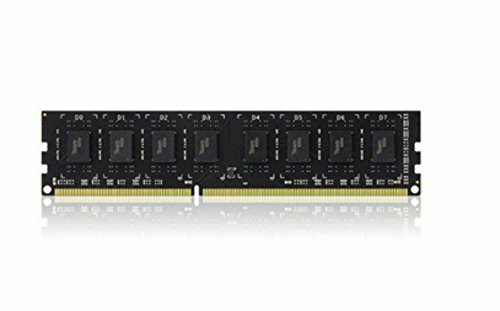 Would it be unnecessary to buy another 8GB of Memory? I'm thinking of buying this exact build for my first build. Also, won't I need a disc drive to install my OS? No, it wouldn't. 16GB is the sweet spot for Memory imo. One Question will this be able to handle an Intel i7 Chip also can this run games such as GTA V Doom and Fall Out 4 at smooth 60 fps? Yes, you can use an i7 if you want. However, if you only plan on using it for gaming, look into the i5 range. An i7 would not be worth the money in that case. And yes, this should be able to run those games at Very High detail at a consistent 60 fps. Question I am very new to computers and don't know much but isn't there a thingy for internet? Where is that on this build? If you're talking about wi-fi, this PC doesn't include an adapter for that. You'd have to either get a motherboard that has it built in or buy an adapter later. If you're not using wi-fi, then you're good to go! Overkill in ability to output power? Sure. But you can't really go cheaper right now without risking loss in long-term reliability. You generally want to shoot for your max system draw being 50-60% of your PSU's max total output, this provides peak efficiency. If you really wanted to save money and enjoy cussing up a storm while building, there's a non-modular version of this PSU for 10 bucks less. The PSU is the component that pushes electricity through your other much more expensive components. The PSU is the last thing you want to go cheap on. You can get a 30 dollar PSU made with cheap capacitors and other junk components, if you really don't care about quality(please don't do that to your poor, defenseless PC). Instead of the original case do you think that the NZXT S340 (White) ATX Mid Tower Case could work with this build too? Im working on a white gaming setup and I like this white case. I'm a PC noob, can I just buy this as is and build it and it will work? DO I need a cooler? Well sure, if you use this SSD you'll be fine, but you won't have much storage. Well yes you would need the HDD because it's the storage for all your media, unless you opt for a SSD which is a faster but a more expensive storage option. Either way, you still need a internal storage device. For the cooler, if you are overclocking your processor then yes you would certainly need it but if you're not overclocking, then the stock cooler(which comes with the processor itself) should do just fine. You don't need a cooler, since this CPU isn't overclockable the included one should be enough. Although you can get one for more efficient cooling and less noise. Also intel's stock cooler is ugly imo, so you can get one for aesthetic purposes too. I'm extremely new to pc gaming and I would like to know how much better would this be than a PS4 Pro? Would you be able to use a legacy 60Hz 1680x1050 VGA monitor with this build? It looks like the MOBO supports it but does it convert digital into analogue signals automatically wihout the need for an adaptor? Will upgrade monitor eventually but could do without the extra cost right now as getting new gaming M/KB. Well 16GB is futureproof, and if you have lots of programs running at once the RAM is able to carry more temp. info out for your cpu. Of course, if your budget is kind of tight, you can start out with 8GB, which can play medium-heavy games without lag. If you think 8 feels enough, then keep to 8. Basically, my version is the "lower quality" version but faster. I do not mean my build is bad, I mean I just used the organizer to find the cheaper, but alike components. My point: Use my build if the budget is tight, use his if money isn't a problem. Hope this helps! Also, if you're up for used, RAM can be bidden off ebay for really cheap, and because RAM isn't as complex as CPUs HDDs and Motherboards, it usually isn't damaged. Just look for a trusted seller. can this run overwatch at high? Does anyone know if the NZXT S340 (White) ATX Mid Tower Case would go good with this build? I am working on a white gaming setup and I really like this case for this build. Would this build be able to play new games this year at higher settings? I already have to really nice monitors that are DVI. The GeForce GTX 1060 doesn't appear to have two DVI ports. Will this not work with my monitors? The MOBO comes with Ethernet. If you want Wi-Fi and/or Bluetooth go into the Wireless Network Adapters section near the bottom of your PC parts list here on PCPartPicker, you will need one of those adapters that provide Wi-Fi and maybe Bluetooth depending on the model. Im pretty new to this...but doesnt it need a wired network card or something? Nope, ethernet connects directly to the motherboard. Is it possible to use the ATX CASE DEEPCOOL DUKASE V2 WHITE instead or are two cases different? if I cant use this one could anyone suggest a different case that would also be ok to use, because there are some availability problems where I am. Yep, no issues swapping to the white version. I put this build together using the above build as a base. Would anyone be able to let me know what they think? If there's any way to save some cash and reduce the budget please let me know. Would this be a good choice for my first PC Build? I think it's at a good price point but I feel like some components are missing. I have never built a PC so I have no idea but isn't a fan needed as cooling, there doesn't seem to be an cooling. For someone who spends awhile playing games a day I'm afraid that without a fan a may roast my new PC. All the required fans are included in the build. The I5 comes with a stock cooling fan, and the gtx1060 will come with a fan built in. Case fans are great and sometimes even necessary in high end builds featuring overclocked components that heat up very fast, but judging from your response (first time build? ), you wouldn't be doing any of that. May be a dumb question - Could this run league of legends at maximum settings? Second question - What would I need to add to this build in order to use WiFi? Yes! You can run league at max settings and still get 200+ fps. I get about 220fps on my 750ti, and a 1060 is far more powerful. In fact, if you're looking only to play league, you may want to consider budget oriented cards such as the 1050ti. But yes, this build will kill league. For wifi, I personally have used usb wifi adapters. They come in fairly cheaply, and my $20 tp link mini has never failed me. That being said, there are ways to install on board wifi (although I am not familiar with that) and you can also opt to swap the motherboard for one that has wifi built in. I like the case for some reason lots of people don't have the same taste of cases as I do. would this be good for streaming and/or video editing? If your goal is to stream and edit videos, this build will work. However, if your budget allows, see if you can stretch for a core I7 instead of an I5. Video editing and streaming benefit from the hyperthreading and (potentially) extra cores that an I7 has. Note: In purely gaming applications, the extra cores and threads on the I7 will not matter and does not justify the extra cost. Great build! Very similar to the one I've been building in fact many of the same components I considered including the SSD and GPU. Only real difference is that I went with the 480 8 gb instead since it went on sale and I wanted a double fan GPU option, and I decided to upgrade to the muskin 480 gb eco3 drive (on sale on newegg ebay) and get 16 gb of ram (team vulcan!). I'm new to building computers. Is there anything else I should add to this list other than an OS, monitor, keyboard and mouse? It is a parametric selection that chooses the least expensive ssd from 240GB to 10TB. Hi, i am thinking about starting a new build with something similar to what in this guide. If I wanted to increase the RAM, seeing as how there are only two DIMM slots would any 288 pin work? I was thinking about upgrading to something like GSKILL 2x16 Ripjaws, or would this be overkill/unnecessary? How does this particular build handle streaming while playing games like Overwatch, Battlefield 1, etc...? Are there any videos of this being built? I know next to nothing about motherboards. Any reason why I should still buy h170 over h270? I believe the price difference is very less. This build guide hasn't been updated since the release of Kabylake and 200-series chipset motherboards. There isn't really any reason to get an H170 motherboard unless you are getting an one that meets your needs while still being a bit cheaper than an H270 equivalent / cheapest H270 board you would get. Any idea if there will be a new build for this coming out soon? I'm ready to purchase the parts but I'm afraid to bite the bullet in case something newer is released. Would someone give me a guide on how to build this? Thanks. Also, are there any additional things I would need to purchase? Hey guys, first time PC builder here. I added a Noctua NF-F12 PWM 55.0 CFM 120mm Fan due to paranoia over me messing crap up by not keeping it cooled down enough. The case has a spot for it as per the description, but I was curious if anyone knew that it won't work. Additionally, there is no need for a CPU cooler here? Would this be okay for my first PC build? I wanna run games at 60fps or more and smoothly. Games I like are H1Z1, bf1, rust, and other shooters and RPg's. Is there a video on someone building this exact build? I'm new to building computers and I want to make sure I'm doing everything right before I start. Pretty good build, similar to the modest rig I'm making right now, you could save a bit by going for the 3GB model of the 1060 if you want to. Question, I am asking b/c I looking to build, but not that versed in all. Whats the significance in going with the 3GB vs the 6GB that is suggested. It's seems the video card would operate better with a a higher GB, right? GB on a video card is mostly used for higher resolution and other things (like special RAM), normally, 2gb should be good enough for a 1080p screen. Picking the right video card isn't always about the size, there are 2GB cards faster than some 4GB cards. It's like the same case in processors, the GHz is not always higher = better. When you're getting a video card, do some research ahead. Thanks Megarocket16, for that explanation. I am very much into gaming, but I have not done a build before. Thought about doing a build recently, but someone told me that its looks complicated for a first timer and I should go for a pre-build. By no means am I a 'pro', but I have seen the insides of towers before. Me, I'd be excited to do a build, but I don't want to get in over my head. What do you suggest, I like this 'Modest Gaming Guild' with some with some changes. Well, pnewton415, if you like it, you should be up for the challenge. Building a PC is very easy, and making this is is basically the same as making any other PCs, maybe with different components. Most of the time, there are very clear instructions that come with the case. If you're still not sure, there are awesome sites on the net like tomshardware.com and youtube.com you can check. Good luck on your build! It would, but it's about a 10% reduction in speed, so a good deal on a 3gb would be nice. 6gb is better, but not by much. Yeah...I built a gaming PC that is cheaper and has better specs. Stop spamming. Please make your own post.